George Ezra performing ‘Did You Hear The Rain’ live at BBC Radio 1’s Big Weekend 2015. George Ezra played the main stage at BBC Radio 1’s Big Weekend this past weekend, playing to an enormous crowd, treating them to his enormous voice. ‘Did You Hear The Rain’ has the most incredible live intro, showcasing his voice on it’s own, before his full band kicks in. 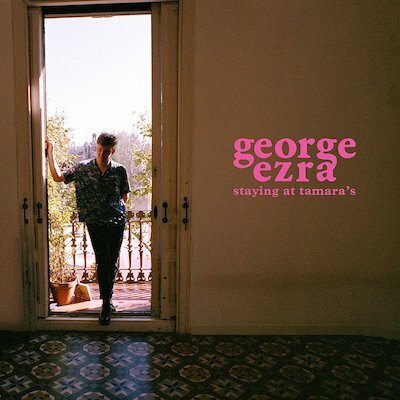 MusicGeorge Ezra - 'Budapest' and 'Did You Hear The Rain?' live for Jimmy Kimmel. MusicWatch: George Ezra performing 'Did You Hear The Rain?' live at Glastonbury 2015. MusicWatch: George Ezra performs 'Don’t Matter Now' live for Jimmy Fallon. MusicAuckland City Limits 2018 - first line-up announcement! MusicListen: Sigrid covers George Ezra’s 'Budapest'. MusicGeorge Ezra - 'Blame It On Me' music video. MusicWatch Sir Ian McKellen (dance around) in George Ezra's 'Listen To The Man' music video. MusicInterview: George Ezra on his debut album, 'Wanted On Voyage'. MusicInterview: George Ezra on his new album, 'Staying At Tamara's'.